Jean-Claude Junker, the European Commission President has stated at the G20 meeting being hosted in Hangzhou, that it is ‘crucial’ for China to accept global participation in a bid to minimize the over capacitated steel sector in China. G-20 nations are set to endorse the creation of a so-called Global Forum in steel overcapacity, with the involvement of the Organization for Economic Cooperation and Development. 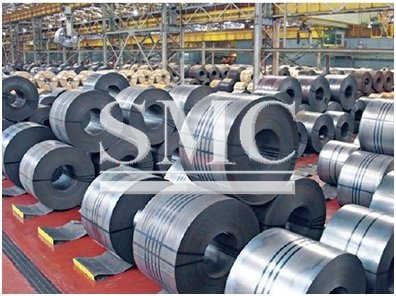 The text still needs to be approved by all leaders, and the references to steel overproduction were only reluctantly accepted by the Chinese and Indian delegations. Mr. Juncker has stated that he is determined to defend the interests of the European Steel industry and to allow it to thrive again, whilst also adding that the industry in Europe had lost thousands of jobs over the last few years because China were not playing by the rules. The European industry has said that due to China’s industrial policies (or lack of), it allows any Chinese companies to make steel products and flood the global market, making it harder for the more official and legitimate companies. China, the world’s largest steel producer, has doubled its exports to the EU over the past two years, while the bloc’s demand languishes below levels seen before the 2008 financial crisis. EU steel prices have fallen roughly 40% over the past two years. Let’s hope the G20 summit can bring some clarity to the matter.